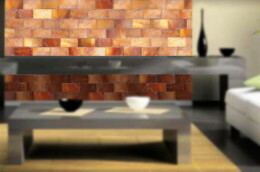 The Benefits of Himalayan Salt Lamps are immediately visible in the soft, relaxing lighting, however, their benefits don’t just stop with their use as enchanting lighting features; they also emit negative ions as they glow! 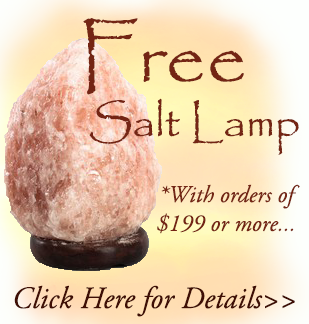 Salt has well known medicinal uses throughout the body and it’s various systems. It has been used for ages to clear bacteria and microbes from the sinus cavities in order to prevent and treat infection, and has also been used to clear bronchial tubes of congestion for relief of common respiratory problems, a treatment now known as Speleotherapy. The peoples of numerous ancient cultures noticed relief of chronic respiratory symptoms while visiting salt caves and thus used them frequently as a remedy for common respiratory ailments. To this day, many who suffer from asthma, allergies pneumonia, hay fever, bronchitis, sinusitis and cystic fibrosis visit modern Salt Caves around the world for this treatment, as it is known to help alleviate the symptoms of these conditions. 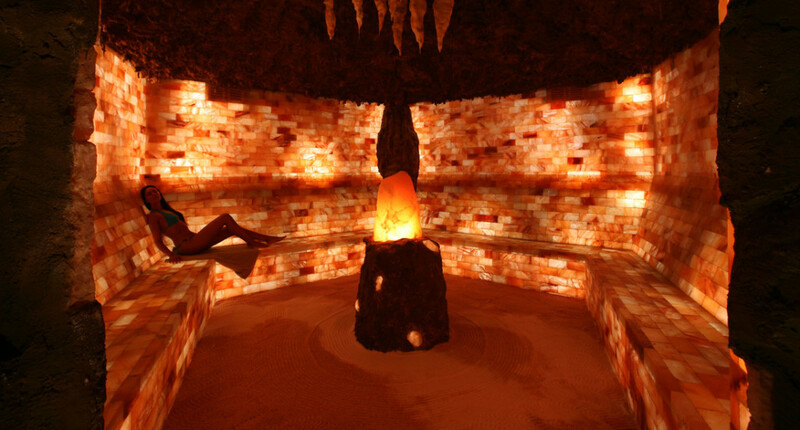 Salt caves are constructed from several tons of Himalayan Salt blocks, the exact amount depending on the size of the cave, which are usually heated by lighting placed within the walls. The heating of the salt causes the air in the cave to be infused with a dry aerosol of tiny pharmaceutical grade salt particles. Salt Cave treatment is widely used in Eastern Europe and Russia and has been a well known natural therapy for nearly 200 years. In these parts of the world, people with chronic breathing disorders often spend two to three hours per day in salt cave grotto’s. In 1995, even the Russian government approved salt caves for medical use. Ireland’s’ first salt cave opened near Dublin in 2009. 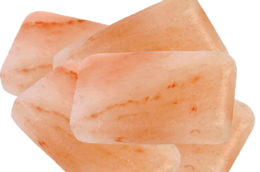 Himalayan Salt Caves are also springing up all over the US, from The Salt Cave MPLS in Minnesota to Boulder, Co.
Himalayan Salt Lamps are reputed to provide similar effects of visiting a salt therapy cave right in the comfort of your own home! Heated by either a bulb or a candle, these unique lamps and candle holders are used for their air ionizing effects, much like those created in a salt cave. These authentic salt crystals, collected from the deepest & highest mines on earth, located under the foothills of the Himalayan Mountain range, have remained untouched by environmental pollutants for over 250 million years. 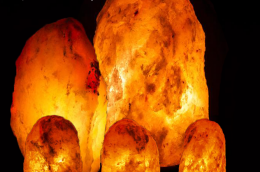 The most pollutant free form of salt crystals in the world, Himalayan Salts are hand picked from salt deposits & crafted into the Salt Therapy caves mentioned above, as well as our quality Himalayan Salt Lamps and Candle Holders. Place Himalayan Salt Crystal Lamps in bedrooms for a more peaceful sleep, aided by fresher, cleaner air & a warm, tranquil glow. 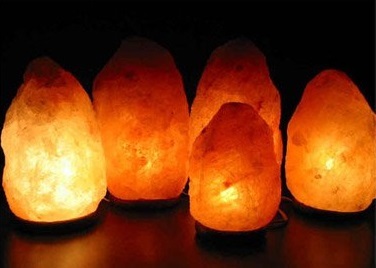 Salt Lamps also increase productivity in the workplace, home office or study area by reducing the amount of electromagnetic pollution emitted by electronic home & office equipment, so you may experience increased concentration & reduced fatigue. 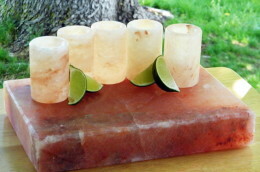 Allergy & Asthma sufferers report quick relief of symptoms & easier breathing with the use of salt lamps.